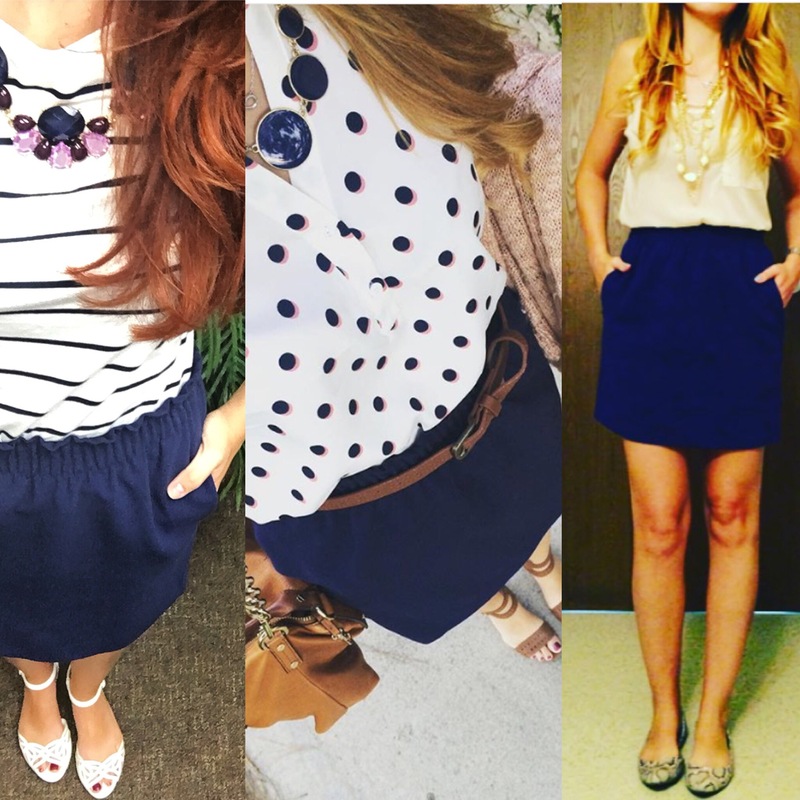 This navy skirt from Maison Jules is turning into one of my favorite pieces. This is my third outfit with it! I’ve gone from solid, to polka dots, and now to stripes. 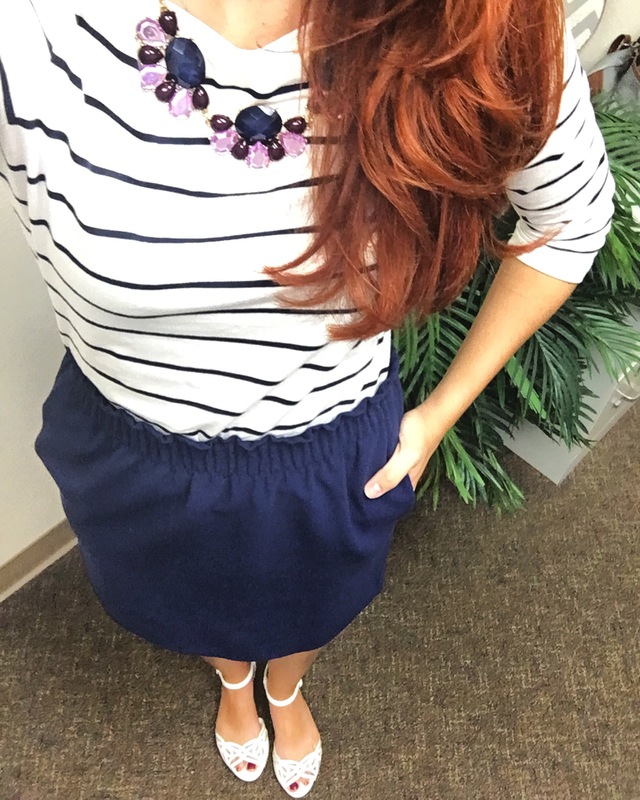 I paired it with a three quarter length white and navy striped top, white strappy sandals, and topped it off with a purple gem statement necklace with a couple navy stones to tie it in. I love this outfit, so easy and so comfy. Ps- my boyfriend asked me why I was dressed like a flight attendant.